Lock in a great price for Pousada dos Sonhos – rated 9 by recent guests! This was an amazing place. Right on the beach! The staff was so helpful and right there whenever you needed them. The breakfast was amazing each day and we couldn’t ask for anything more. Drinks, pool, service, beach and amenities were great. Room was comfortable. Great location - right in front of the beach. There are not many businesses around the property; but nothing that cannot be solved by taking an Uber downtown. The room was huge and extremely clean. The housekeepers were so kind. Good breakfast with many dietary options. Great location. Staffs are awesome. Breakfast was perfect. The room was good. The air conditioning was poor. It's location is good but the beach is really narrow, there's not much space. Breakfast was very good. I can't give a feedback on on the restaurant since it's closed on Mondays. Absolutamente todo, la ubicación en frente del mar calmo con aguas limpias para los nenes, la seguridad del barrio, las comodidades que ofrecen, todo para disfrutar un día de playa, la comida del restaurant, pileta, yacuzzi, sala de juegos para los nenes ... realmente es un excelente lugar para pasar en familia o bien en pareja . La vista al mar es simplemente increíble, el desayuno es muy completo y los meseros muy atentos para resolver todas nuestras inquietudes . La habitación tiene todo lo que necesitas, más si vas con nenes, te da la posibilidad de cocinarles algo ahí mismo . Simplemente el lugar es fantástico y altamente recomendable . Los felicito ! No me quiero olvidar los excelentes masajes de Claudia! 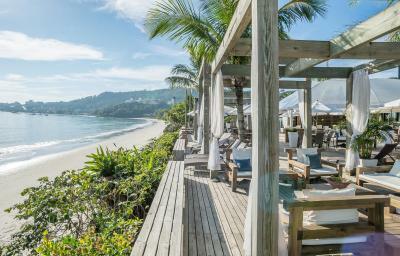 Café da manhã muito bom , quarto excelente , equipe super prestativa, limpeza impecável , pousada pé na areia , restaurante pousada muito bom , ótima localização ! Recomendo e irei voltar em outras oportunidades! Localização maravilhosa, com vista pro mar! Atendimento muito bom! Acomodações excelentes! 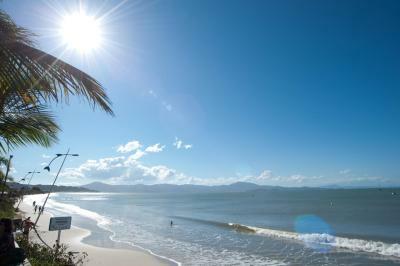 One of our top picks in Florianópolis.Pousada dos Sonhos offers rooms with a balcony and sea view on Florianópolis´s Jurerê Beach. Guests can use a hot tub by the swimming pool, and Wi-Fi is free. 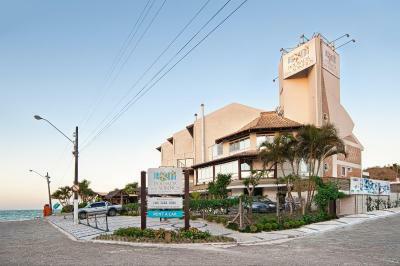 Pousada dos Sonhos´s accommodations is air-conditioned, including cable TV and a mini-bar. It features a kitchen or kitchenette and a living room. Some rooms offer a bath spa. Guests who stay in the apartments enjoy the recreation area and all services provided as well. The guest house has kayaks and bicycles with a special seat for children up to 4 years old. 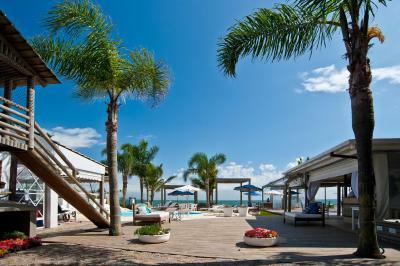 Kids can also play in a tree house or use the children´s swimming pool. When would you like to stay at Pousada dos Sonhos? Located on the 1st floor, features a kitchenette, a microwave and a stove top. 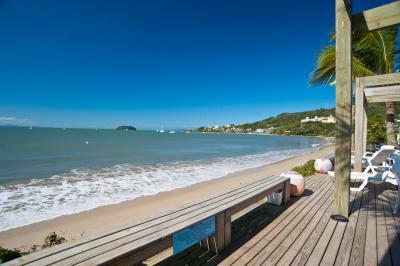 Located on the second floor, this duplex apartment offers a scenic sea view. Situated on the third floor, this duplex apartment offers a partial sea view. This apartment is located on the ground floor and features a deck with a hot tub. 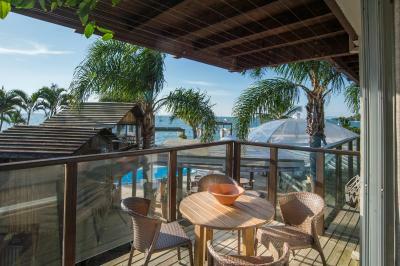 Located on the first floor and offers its own barbecue facilities and sea view. House Rules Pousada dos Sonhos takes special requests – add in the next step! Pousada dos Sonhos accepts these cards and reserves the right to temporarily hold an amount prior to arrival. Please note that the hotel limits 1 parking space per room. Please note that the guest house hosts events, including wedding parties, from April to November. During this period, some services may not be available. Restaurant a bit overpriced and they cant handle the buzy lunch time. Takes far too long waiting for food to arrive. Many more options close to the hotel. The food during lunchtime was well intended, but tasted like it was reheated. They need to cook things fresh. We ordered the congrio and the filet mignon. Both dry, hard and not very warm. It is a pity the family units don't have better sea views, but there are no other problems. We were worried that the pictures on the internet were not a good reflection of the actual hotel. But in fact, the location is better than the pictures can show. 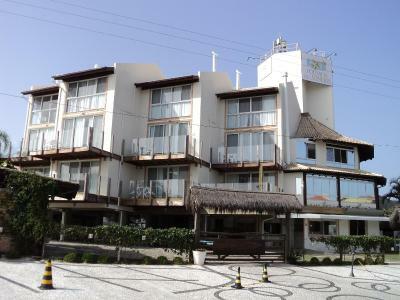 The front of the hotel is beautiful with a wonderful swimming pool and spa bath, all right on the beach. We could sit on the deck watching the kids playing on the beach in front of use. The hotel places chairs on the beach for guests and one can buy good value cocktails from vendors right on the beach. The sea water is very calm and ideal for kids. The beach is rather narrow but it is still possible to go for a lovely walk. The have a fantastic kids play area as well which went down very well. The units are spacious and self-catering is possible. There is a well stocked supermarket a short walk away - ask for directions from the friendly reception staff. A second supermarket slightly further away (but still not more than 1 km) even has a butchery and they sell really good meat - try the chillie sausage! There are also a few restaurants close by. The breakfast at the hotel was also good. A number of the reception staff speak English which makes communication quicker and easier. The staff were all very friendly. Parking is free and secure and the wifi was good throughout the premises. Even though the hotel is at the far North of the island, it is quite easy and quick to get to. the slowest part is through Florianapolis and thereafter the traffic is slow. I I think the staff at the front desk could be more polite and helpful, specially the men during night shifts On Monday Nov 20th, there was no internet service. The fact that we got there and our room was not booked as we requested and it jeopardized our stay!